Ethiopia has to be Africa's best kept secret! It is a country with a long history of Kings and Queens (the Queen of Sheba was Ethiopian), it has 1000-year old monasteries and churches filled with fresco paintings and incredible rock architecture and carvings, it has rock-hewn churches (churches literally carved out of the ground), great food, wonderfully warm and friendly people, fascinating tribes, a patchwork landscape of plateaus, mountains and deep valleys, and for all you caffeine-addicts it has the best coffee in the world! Ethiopia was the only African country not to be colonized by a European country, so they have carved out their own interesting path in history - they also boast being the only country to have defeated a European invasion - Ethiopia won against the Italians to maintain their independence. After a trip to this awesome country you are likely to leave feeling quite over-stimulated not just by the coffee, but by all that you have seen and learnt. It really is an incredibly interesting place - in fact, you may not want to leave! 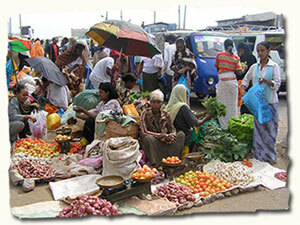 exploring bustling African markets, full of life and colour, exotic smells and curious things! drinking Ethiopian coffee at a "coffee ceremony" - it is so good, it almost tastes healthy! going to traditional music and dance shows - you might even get a chance to try the traditional "shoulder dance" yourself! Welcome to the vibrant capital of "Addis", the third highest capital in the world! You will be picked up from the airport and transferred to the hotel to freshen up. In the afternoon we embark on a city tour, which includes: a visit to the Trinity Cathedral, commemorating the patriots who fought the Italian aggression in the 1930s, and the National Museum, rated one of the best sub-Saharan museums - this gives you a good introduction to Ethiopian history and culture, and is a good starting point for the trip. 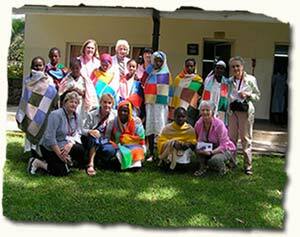 Today we visit the Fistula Hospital, established in 1974 by the Hamlins, a pair of gynaecologists from New Zealand and Australia. The hospital cares for women with childbirth related injuries - the women are usually destitute, rejected by their husbands, and have often walked for days or weeks to get to the hospital. It is an interesting insight into a side of life not many know about, and will help you understand rural customs and life, and is, of course, a very touching experience. We also bring pre-arranged donations to the hospital. In the afternoon we take a flight to Dire Dawa - and then transfer to the old walled, medieval Muslim town of Harar, with its 99 mosques. Harar is situated on the east wall of the Great Rift Valley near the Somali border, and is the place where Islamic ideas entered into Africa from the nearby Arabian Peninsula. On the agenda this evening is a visit to "Hyena man" - he feeds wild hyenas every night on the edge of town - you can have a go too. We kick off the day with a tour of this fascinating city, so different to the rest of Ethiopia. 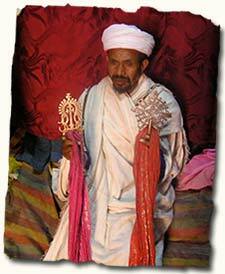 Your visit will include the Harari Museum, Rimbaud House and Harar Market. Shop for indigenous handicrafts and jewellery. Harar is East Africa's equivalent to West Africa's Timbuktu - it is a busy trading town, with an old Arab-style town centre called Jugal. Jugal, has been registered by UNESCO as a world heritage site. We visit the market, traditional Harari houses, and all the sights within the walled city, not forgetting the coffee factory, because Harar is, after all, famous for producing the best coffee in Ethiopia. This morning we get an early start for a long but very scenic drive to the Afar region. The drive not only gives you impressions of the Ethiopian landscape, but you will also witness a lot of Ethiopian "life", as people tend their fields, collect wood and take laden donkeys to the market. We spend the night in an eco-lodge. The lodge is located on Elalyetu, a hill overlooking the hot springs of Bilen and the vast sea of reeds which fringes them. We pay a visit to the local hotsprings where the Afar water their camels and goats - and then we head for Addis. En route we drive through the Awash National Park. The park takes its name from the Awash River; the longest river in Ethiopia. Fun evening dinner in a national restaurant with traditional music and dancing. This morning we fly to Bahir Dar, one of the Ethiopian's most attractive towns, and situated on the shores of the vast Lake Tana. A scenic drive and a short hike takes us to the Blue Nile Falls, at their best after the rainy season. In the afternoon we take a leisurely boat trip across Lake Tana, famous for the 20 monasteries established on its 37 islands. We visit Zeghe peninsula and its two churches of Ura kidane mehirat and Azuwa Mariam which were built in late 13th and 14th century, respectively. 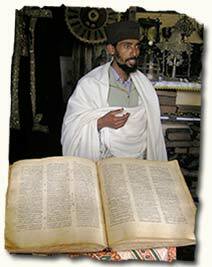 Christianity has a long history in Ethiopia, and the whole ancient culture, architecture and art surrounding it is fascinating. Tonight we join the locals in one of their cultural bars to see some traditional music and dance - you may even get the chance to try out some local dances yourself . . .
After breakfast we drive to Gondar, through a patchwork quilt landscape of barley, tef, beans and wheat. In Gondar we visit a local womens' project, set up in 1994 by a British man to help solo mothers who have no skills or means of income. Here we also have the opportunity to give back, or support them by buying some of the pottery, scarves and other handicrafts that they produce to support themselves. Emperor Fasilidas founded Gondar as his imperial seat in 1636 and the city was both the capital and a great commercial center from the 17th to the mid-19th century. 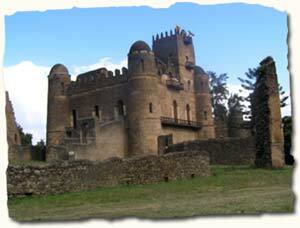 We visit the Royal Enclosure or Fasil Gibbi and also the castles built by the various emperors of Gondar. A 2 km drive from the town center you will bring you to the bath of King Fasilides, where, during Timkat (Ethiopian Epiphany) a nearby river is diverted to fill an area the size of a small swimming pool. Worshippers plunge into the cold water in a re-enactment of the baptism of Christ in the River Jordan. We finish off the afternoon by visiting the impressive Debre Berhane Selassie church, whose interior is decorated with beautiful old murals. 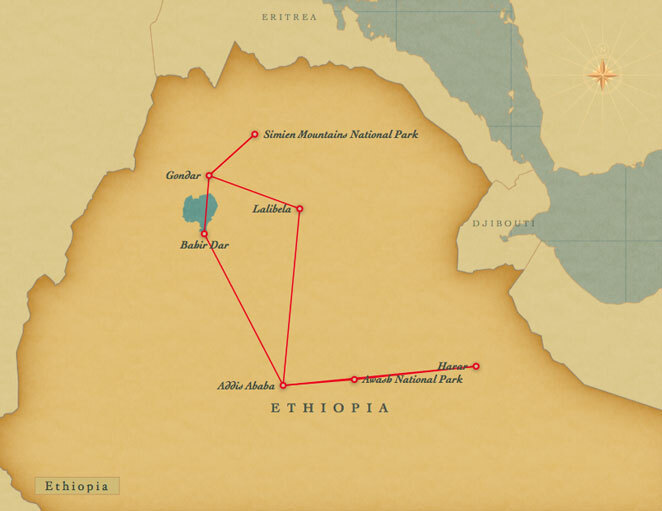 Today we head for the stunning Simiens Mountains National Park. High up in the Simien Mountains we look down on landscapes similar to those of the Grand Canyon (only greener!) - a high plateau that gives way to deep, sloping valleys. The Park was added to the world heritage site list in 1978 with a total area of 190 km2. 57 tree species and a variety of herbaceous plants, 22 large, 13 small mammals and about 180 bird species have been recorded; from these Walia ibex, Ethiopian wolf, Menelik's bushuck and the Gelada baboon are endemic. 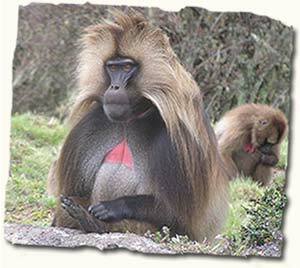 In the afternoon we go on a 2 hour walk where we are likely to see the peaceful, vegetarian Gelada baboons. Tonight is spent in a very special traditional style lodge, with wonderful views at over 3000m. We do another short walk this morning in another part of the park, then head back to Gondar for the night, where we will go out for more of that great local food and fun traditional music and dance show. 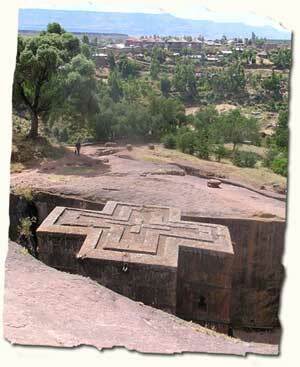 Today we fly to the amazing hillside town of Lalibela. Situated at 2,630m, it is as beautiful as the name sounds. Lalibela is known for its 11 rock-hewn churches, which were literally carved out of the ground, and have to be seen to be appreciated. King Lalibela had these churches made at the end of the 12th century so that it would no longer be necessary to take the long pilgrimage to Jerusalem - he called the series of rock churches the New Jerusalem. The first group of six churches lies in rock cradles, one behind the other: Bet Golgotha, Bet Mikael, Bet Mariam, Bet Meskel, Bet Danaghel and Bet Medhane Alem. 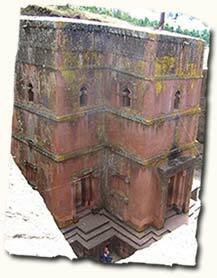 Bet Medhane Alem, the largest, is built like a Greek temple. In a corner are three empty graves symbolically dug for biblical patriarchs Abraham, Isaac and Jacob. Bet Giyorgis, possibly the most famous due to its cross-shaped roof, is set apart from the others on a sloping rock terrace. The group of four south of the Jordan River comprise of Bet Emanuel, Bet Mercuiros, Bet Abba Libanos and Bet Gabriel-Rufa'el. The churches are still all in use today as a place of worship and contain many old treasures: beautiful coloured frescoes, ancient books, and processional crosses. Prepare to be amazed! Free day! Today you have time to do as you please - stroll around town, catch up on postcards, or possibly visit some locals in their homes (you may get invited home for a "coffee ceremony", where the beans are roasted, pulverized, and the most delicious coffee in the world is made before your eyes!) Saturday is also market day in Lalibela, and it is truly a colourful and interesting market - spend some time here watching the activity. Today we hike or take mules up to another monastery, Asheton Maryam, situated at around 3,600m. The views on the way up are breathtaking, as is the monastery, which has been carved out of a cliff face. After lunch we drive 40kms through beautiful scenery to the monastery of Yemrehanna Kristos built by the king of the same name before the reign of King Lalibela. Set at an altitude of 2,700m and almost hidden high up in a cave, this old church has interesting architectural features. The huge cave houses not only the church, but also the remains of hundreds of pilgrims who came here to die. This evening after dinner we pay a visit to the local Tej House. Tej is a locally brewed mead-like drink made from honey - it's very tasty and drunk out of special tiny bottles. We leave Lalibela this morning and enjoy a very scenic flight back to the capital. With what is left of the day we have time to visit some traditional weavers and do some final shopping. Late afternoon we go to the Mercato, a bustling, thriving and busy African market, selling all manner of weird and wonderful things - vegetables, coffee, traditional clothes and handmade baskets, recycled metal goods - you name it! For our last evening together we eat at a very special restaurant. Sadly, it is time to leave this wonderful country, with its amazing history, wonderful cultures, friendly faces and stunning landscapes. You will no doubt be left with many fantastic impressions. Transfer to the airport for flights home. 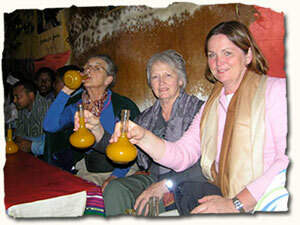 "My first trip with Venus Adventures was to Morocco in 2007. 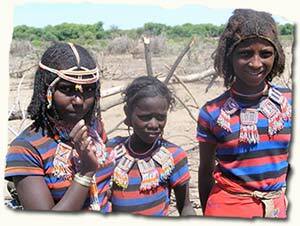 It was an unforgettable, amazing trip, which I did not think could be surpassed, but booked on to Ethiopia in 2009. Wow. Also just as incredible. In 2010 I came back for more: Egypt. This trip was fabulous in so many ways, I just loved it. My next trip will be the Africa Safari in 2012. As a solo female I am able to visit exotic destinations which I had previously only dreamt of. I can only rave about VA trips = safe, fun, interesting = fantastic!"